We have been printing lots of charts for family reunions this summer. It is always fun helping people celebrate their family history with both working charts that family members can edit and add information to, along with decorative charts which are a beautiful way to show off your family members' information along with photos. 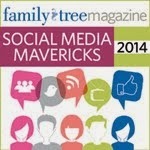 We recently published a new e-book to assist in your family reunion planning: "My Ancestor: Family Reunion". This e-book, available for instant download, will keep your family members of all ages busy as they get to know each other and their heritage together. 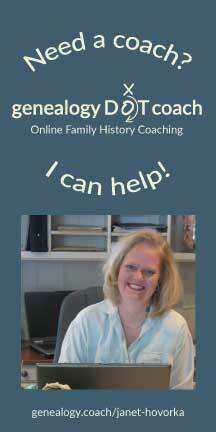 In purchasing the My Ancestor: Family Reunion e-book, you get to choose one of the My Ancestor Activity Workbooks (Pioneer, British, German, Danish, Jewish, Civil War, Swedish, or Mormon) with the rights to copy the pages for your family reunion activities. The workbook section of over 70 pages includes not only the heritage activity pages, but also general pages to get children and others interacting with their family history. Add to that the many ideas for meaningful games, contests, and projects and you have a recipe for a successful family reunion! 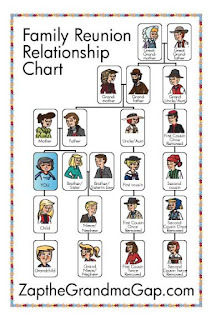 This Family Reunion Relationship Chart, included in "My Ancestor: Family Reunion" e-book, is a fun visual tool to help teach the relationships within families. Use this at family reunions to help explain how family members are related as they get to know each other better.